Rosie O'Donnell says she's keeping her anger in check with hormones. 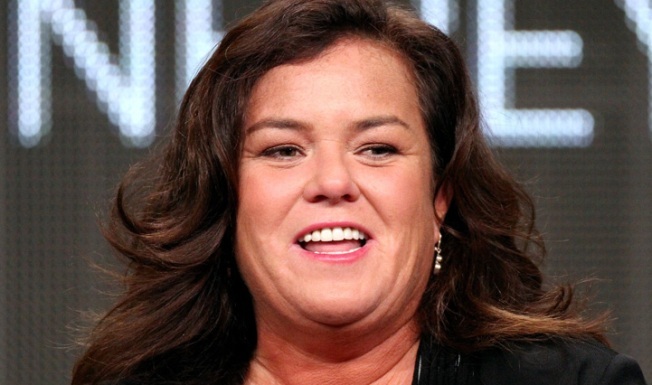 Rosie O'Donnell is taking back her "Queen of Nice" title with some Estrogen help. The talk show host chatted with Access Hollywood's Shaun Robinson on the set of her new OWN show in Chicago on Wednesday, where she revealed she's keeping her anger in check with hormones. "I think I had a lot more rage than I was aware of, but I've gotten back access to my other feelings. I'm not cut off from my emotions anymore," Rosie, who returns to TV this fall with "The Rosie Show" on OWN, explained. "I think without Estrogen it would not have been possible for me to be here doing this show." She credits her longtime friend Suzanne Somers for helping her. "[Suzanne] said, 'Please, please go to one of these doctors and get some hormones,'" Rosie recalled. "She said, 'I've known you for 15 years. I know your heart, please do this.'" Rosie might be a happier person, but upcoming guests on her new show might want to think twice about crossing her or any of her famous friends. "Yes I've banned Piers Morgan," she told Shaun. "He banned Madonna for no reason when his show started, so I'm banning Piers Morgan! I don't have anybody banned, but if I have to make a list, he's on it." As for other guests, Rosie appears to have replaced Tom "cutie patootie" Cruise (how she often referred to the star on her previous talk show) with a new celebrity crush in the form of Russell Brand. "I became fascinated with him and I Googled everything he ever did," Ro confessed. And the Russell love fest continued when she finally met the British funnyman, telling him, "I have been marinating in you, I knew this would happen, you are genius!" "The Rosie Show" debuts on October 10 at 7 PM ET/PT on OWN. Part one of Rosie's interview will air on Friday, September 16 on Access Hollywood and the second part on Tuesday, September 20. PLAY IT NOW: What Is Rosie O'Donnell's Working Relationship With Oprah Like? PLAY IT NOW: Rosie O'Donnell Reveals New Details On Her OWN Talk Show!